In Jackson, the state capitol of Mississippi, the bill moving through the legislature to impose a restrictive regulation on the state’s only abortion clinic is causing controversy. But the temperature in this debate is turned up one early morning when the Reverend Jimmy Aldridge is shot to death while preparing to protest at that same clinic. Detective Darla Cavannah, who is on paid leave following the death of her husband, is called back into service by the sheriff to investigate the killing. Darla came to Jackson from the Philadelphia Police Department, and even though she was married to local football hero Hugh “the Glue” Cavanaugh, she is still viewed as a Yankee outsider. Over the course of her investigation, Darla has reason to suspect everyone from the Italian doctor who performs abortions to Kendall, her best friend and roommate, who has very strong views on a woman’s right to privacy. Darla becomes frustrated as she runs into resistance from both the murdered Reverend’s church and within her own police department. However, with the help of intern/computer geek Uther Pendragon Johnson, Darla pursues the Reverend’s murderer, and in the process she discovers that Reverend Aldridge has secrets - very, very dark secrets. 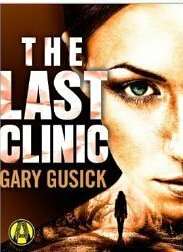 The Last Clinic by Gary Gusick uses southern culture and current, hot button political issues as the backdrop for this well paced murder mystery. The book has an interesting storyline with subplots that flowed easily with the main story, rather than feeling like unnecessary distractions. Although a character like the Elvis impersonating Detective Tommy Reyland could be seen as a caricature, he wasn’t implausible and provided some comic relief in this otherwise tight thriller. In Detective Darla Cavannah, Gusick has created an interesting character that we can expect to see in a few more adventures. Although I’m not certain how many times Gusick can use the “yankee in the south” angle, I would certainly give his next installment a read. *A free copy of this title was received for review purposes only. 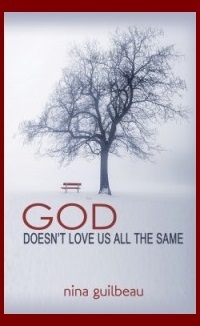 Currently, this title is only available in eBook.